Policy amended on June 18, 2009 to "cover losses from resulting from problems with the stage, staging or special effects"
It took AEG ony 5 days after Michael's death to submit an insurance claim. I am surprised they didn't file the claim in the afternoon of June 25, 2009. How did Michael Jackson Estate get listed on this lawsuit? As per AEG’s contract with Michael Jackson, Michael is to acquire cancellation insurance and name the promoter (AEG) as a payee. If Michael can’t afford to buy the premiums, AEG will purchase the insurance but the cost will be added to Pool Expense (coming out of Michael’s pocket). In essence, Michael was both the insured and the purchaser. This is why Michael’s estate is listed as defendant on Lloyd’s Lawsuit. As per AEG-Michael Jackson contract, even If AEG recoups $17.5 million insurance claim from Lloyd’s, they still get to collect the advances given to Michael from his Estate. And this is not even counting the $66 million AEG got from from $ony for the “This is It” footage. Why did AEG get paid for footages that allegedly belonged to MICHAEL? I will throw him over my shoulder and carry him to the stage. he is light enough"
What if Michael landed in London alive and faced undegoing a physical which would determine the fate of AEG insurance. He could't possibly pass the physical due to drugs in his body. Think of the implications of this outcome for AEG. It is safe to surmise that AEG didn't want Michael making it to London and undergo this physical exam. They KNEW Michael couldn't pass a physical exam. Michael Jackson agreed to perform only 10 concerts. But AEG increased the number of concerts to AEG without Michael's knowledge or consent. Michael was upset. "This is not true. Michael Jackson was thrilled at selling 50 shows. The size and scale of this show would not be possible without an extended run, which Michael has been fully on board with from the very beginning. 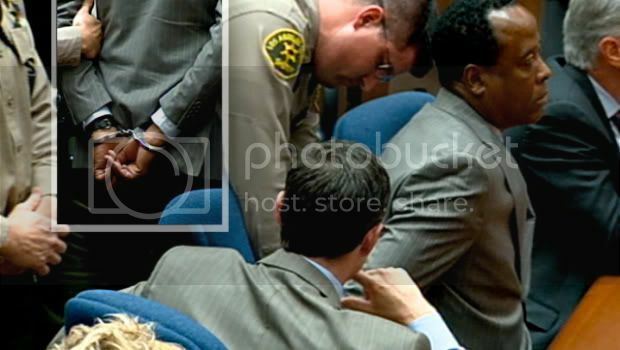 He has not agreed to a world tour at this point, however, he can at any time"
Conrad Murray told the LAPD detectives that on June 25, 2009, Michael complained that if he can’t get some sleep, he would cancel his shows. THE SAME DAY that Michael was talking about cancelling his Shows, AEG awarded Quantum Group to print tickets for a Michael Jackson World Tour. If Michael approved a World Tour, Randy Phillips would have announced it the moment Michael said yes. Have YOU heard of a Michael Jackson World Tour?